Mansfield Town have signed young defender Jamie Sendles-White on a month's loan from Queens Park Rangers. The 20-year-old links up with Paul Cox's League Two side ahead of their game at Portsmouth on Saturday. With a number of players ruled out of the trip to Fratton Park, Cox has been given permission by Stags chairman John Radford to bring in Sendles-White. "We've had to move into the market as a result of our injury situation," Cox told the club website. 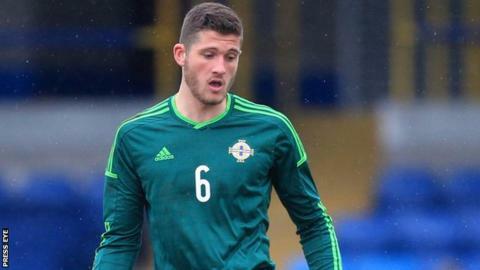 "We've brought in a player, in Jamie, who has international experience with Northern Ireland at youth and Under-21 level. He also featured in QPR's pre-season tour of Germany and is a player they rate very highly." Centre-back Sendles-White is yet to make a senior appearance at club level.